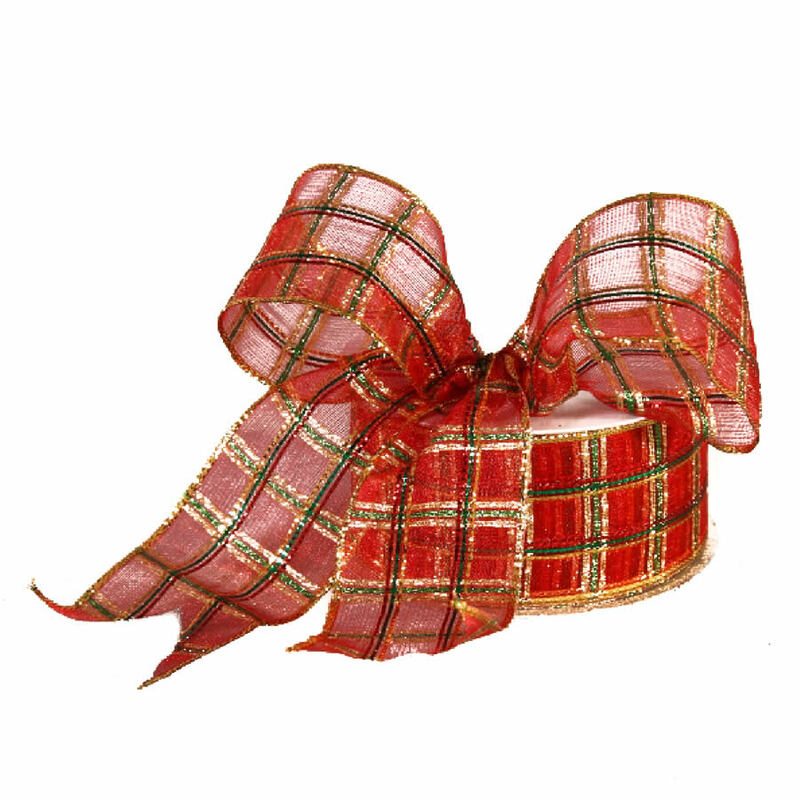 Simply stunning, this sheer Red Christmas Plaid Ribbon is an ample 9-metres long and around 7cm wide. 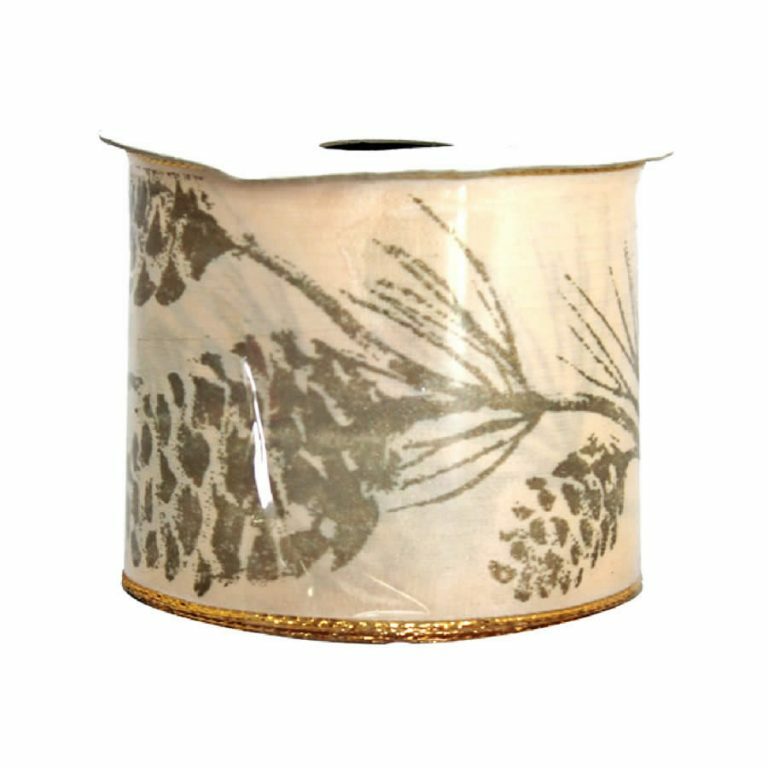 Each spool of festively adorned ribbon is accented with gold, giving it a special, celebratory feel. The wire edging makes it possible to create the same beautiful bows and trims that you would normally spend big money buying for your holiday crafting and decor projects. 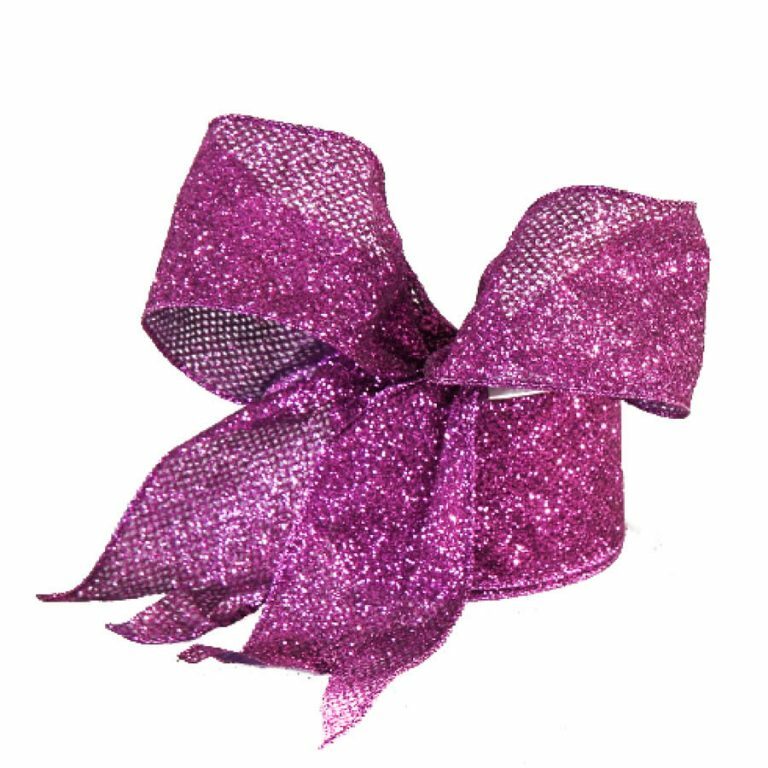 Instead of spending money on prefabricated accents, make your own using this dazzling, convenient ribbon! 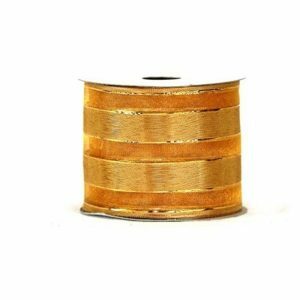 Each spool will create the full bows you want on your holiday wreath, the perfect touch for a table centrepiece, or a great contrast to the trims of your tree. 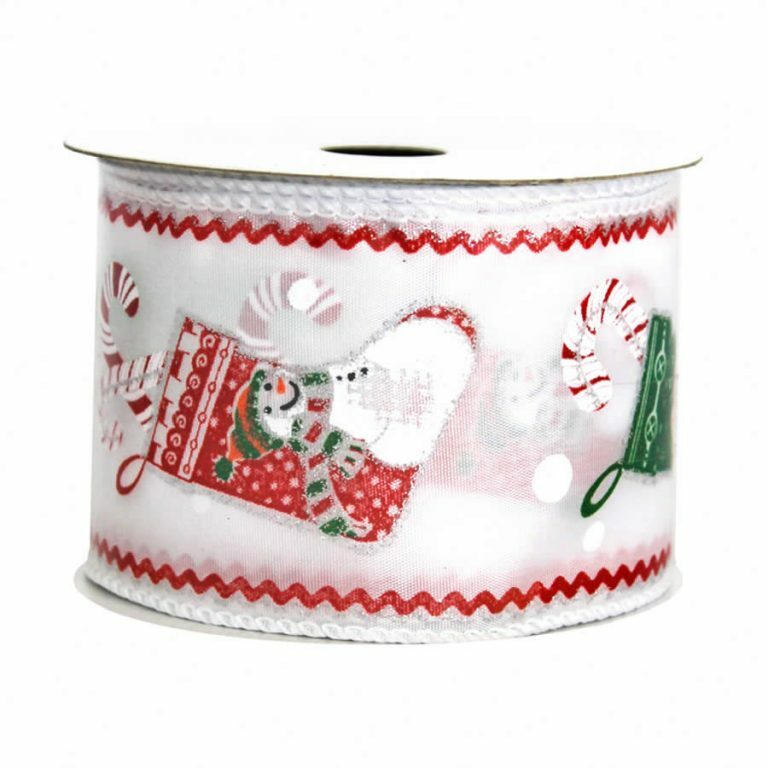 The great advantage of buying this high quality ribbon is that you have the ability to reuse and repurpose it in coming years, which makes it a cost-efficient alternative during preparations for the Christmas season.